It’s springtime once again, and plants are in full bloom all over Southern California. 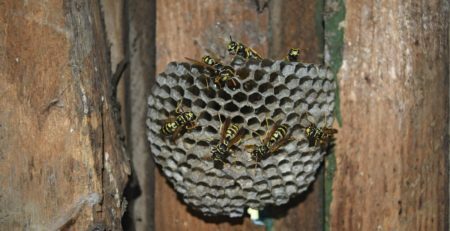 With plants beginning to grow and a high amount of agricultural activity, bees and wasps also become more prevalent this time of the year. As such, the demand for expert bee removal in Orange County is also expected to grow. Got bee swarm on your property? 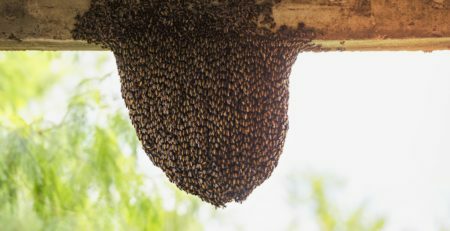 Bee swarms come with pros and cons. At times, however, the cons outweigh the pros especially when you or a family member is allergic to stings. 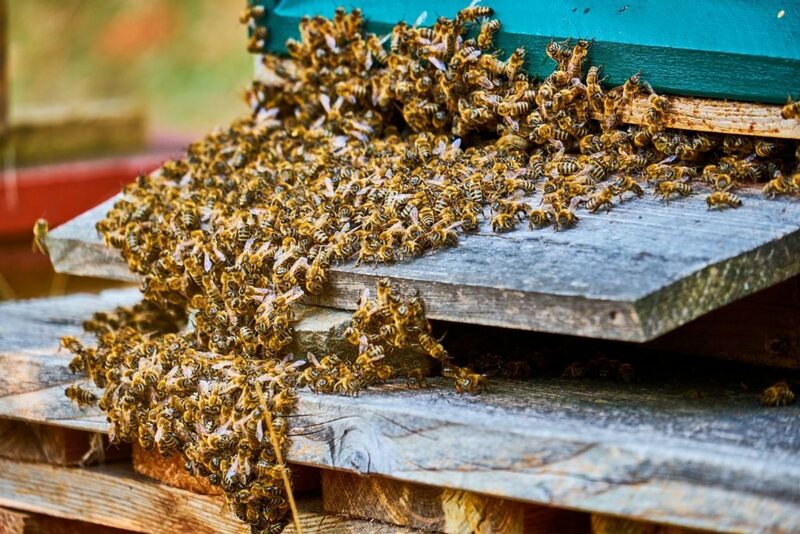 Have you spotted a hive on your property? Note that not all groups of bees are the same. Commonly, you would envision bees clumped up together because they’re protecting a hive. 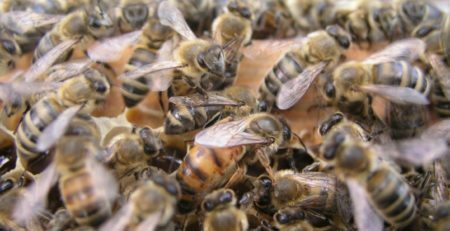 However, a queen and her bee army can be clumped up together, and not have anything to protect. If you spot a hive in your house, do not attempt to get rid of the bees on your own. Call The Bee Man immediately, and we’ll professionally handle the situation for you. 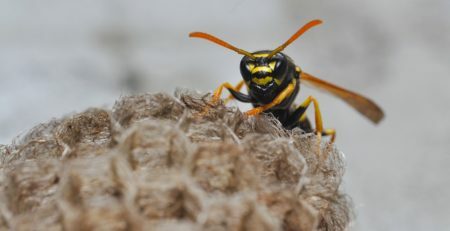 In the meantime, here’s a discussion to help you better understand the indications of having bee swarms in your property. A bee swarm is a ball-like formation of bees that have no hive or honeycomb. It is simply a colony that is headed to a new destination. This destination is where they will build their new hive. The colony is composed of the queen and her subjects. 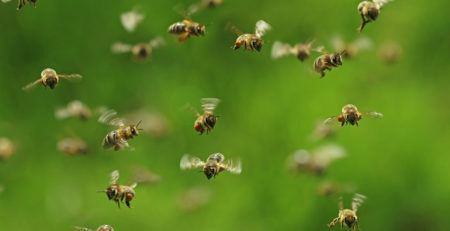 A swarm can consist from 1,000 up to 20,000 bees, flying around noisily. On the way to its new destination, the colony will make numerous stops. Some stops are areas where bees are likely to build a hive or a permanent dwelling. Don’t try to spray or bother the bees. They are likely to sting you as a result. Don’t try to throw anything or hose them. The bees will fly around wildly but settle in the same area. Do call a bee and wasp removal company ASAP. On average, a swarm can build honeycomb after three days. 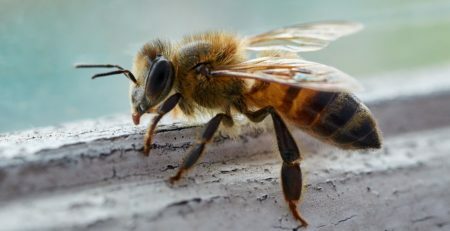 After that, there’s a high chance they will build a hive, making the removal process a bit more difficult, so it is better to let the experts handle the situation. 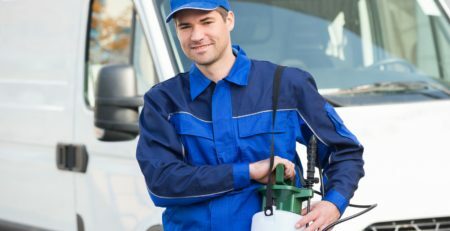 Once you notice a swarm, the first and most important thing you should do is to call The Bee Man for professional bee removal in Orange County. 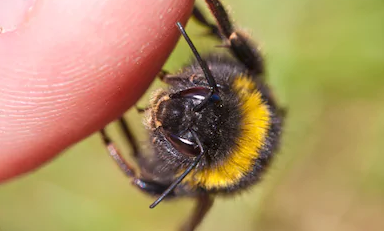 With the right people, these bees can be moved away from your property without resorting to violent means or provoking the swarm to fight back and sting. Our many years of experience make us the most qualified bee control company, guaranteed to serve your community. 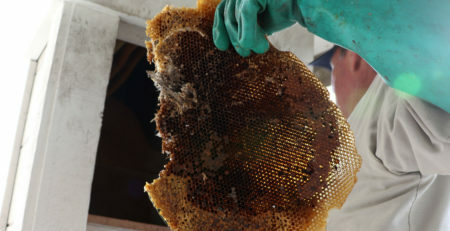 Call us at (949) 455-0123 to schedule your bee removal in Orange County.